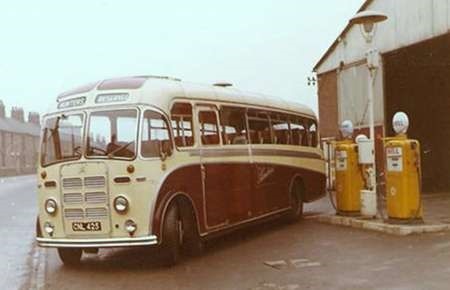 CNL 425, a PS1/1 Leyland Tiger, seen here sporting a FC33F Plaxton body of 1956 vintage. It was one of two identical 1948 vehicles delivered new to H W Hunter and Sons of Seaton Delaval, the other being CTY 457. When new they had C33F Burlingham bodies, CTY was also rebodied by Plaxton in 1958.